All good things must come to an end, and we are quickly nearing the end of spring-like weather in Houston. But before the humidity comes to the region for good this summer, we should look back and appreciate the month of April—which had a succession of cool fronts that kept the humidity consistently in check, and mostly kept daytime highs in the 70s and low 80s. 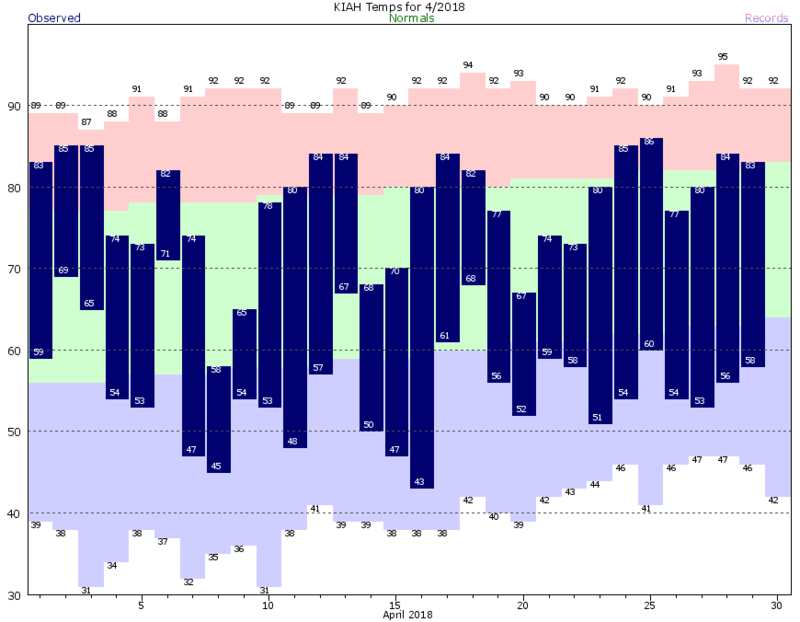 Moreover, the majority of nighttime temperatures this month were in the 50s (as can be seen below). After this morning, I’m not sure we’ll see another overnight low in the 50s until September or even October. Onshore winds are really going to ramp up today, in response to lower pressures over the western United States. Effectively, this means gusty southerly winds (perhaps up to around 20mph) rising humidity levels, and muggier overnight temperatures. Highs on Monday and Tuesday will probably remain around 80 degrees under partly sunny skies, but overnight temperatures are going to jump up to around 70 degrees as mostly cloudy skies help lock in daytime heat. We’re beginning to sound like a broken record, I know. 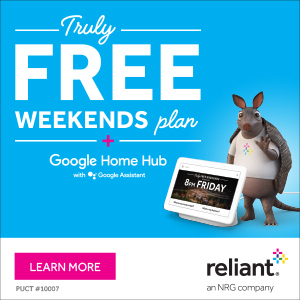 But Houston will have a few more amazing days of dry, sunny weather, and cool nights, before this splendid spring begins to fade away. Get thy selves outside! If you liked Thursday (and how could you not?) you’ll like Friday as well. A dry cool front will push through this morning, helping to keep our weather pleasant for the weekend, as well. Look for high temperatures around 80 degrees today, with lots of sunshine. Another very nice day. Sunny. Around 80 degrees. Low around 60. Soak. It. Up. By later Saturday the onshore flow should kick in, which will lead to some steady warming later in the week. However, Sunday should still see some really nice weather across the region—with high temperatures in the low 80s and mostly sunny skies. Sunday night will be warmer, probably in the mid-60s for Houston, with cooler temperatures north, and warmer south. The city of Alvin, located south of Houston in Brazoria County, has held the 24-hour rainfall record for the United States since 1979. Tropical Storm Claudette caused significant flooding in July of that year, especially over Alvin, where it dropped a record 42 inches of rainfall in a 24-hour period. However, it appears that recent torrential rainfall that affected the northern half of the Hawaiian island of Kauai was worse. 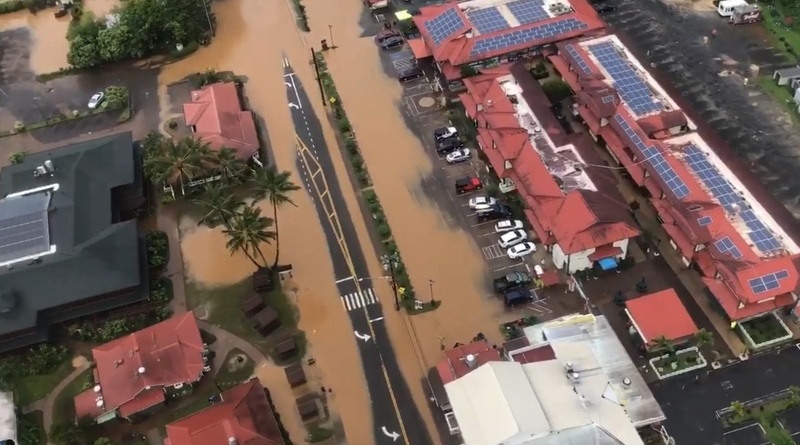 According to preliminary data from a rain gauge near Hanalei, the island received 49.69 inches of rain during a 24-hour period that ended on April 15. (On a personal note, Hanalei is one of my favorite spots in the world. When my wife and I honeymooned there 15 years ago, the place was so beautiful we would later name our first born daughter Analei). A National climate committee will now examine this data, in context with other sources, to determine the validity of this extreme rainfall record. I suspect it will stand. Now, let’s discuss Houston’s weather. Where the outlook remains very pleasant for the next several days. 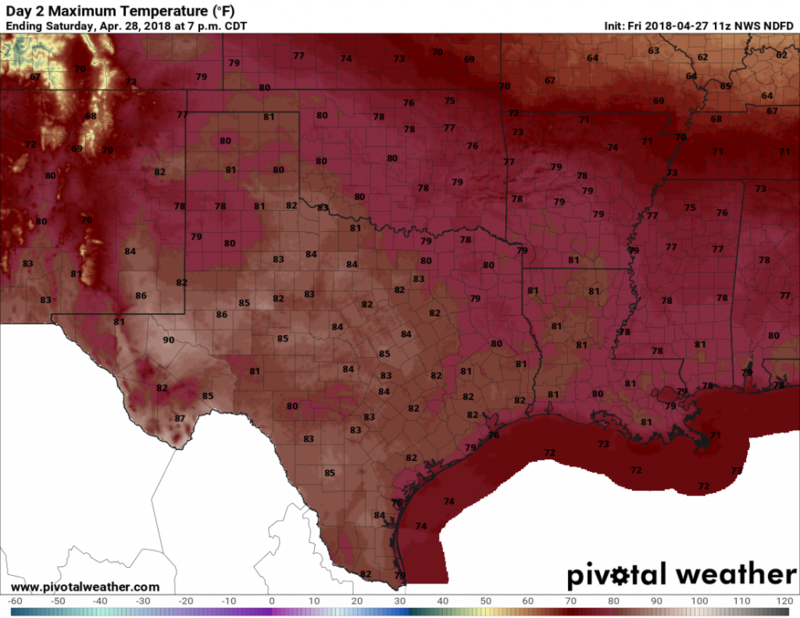 A cold front moved through Houston on Wednesday night, and although the rain showers associated with it petered out before reaching most of the region, the front is as strong as advertised. Skies should clear this morning, and that will lead to two exceptional days to end the work week, with highs near 80 degrees, lows in the 50s for inland areas, and 60s closer to the coast. 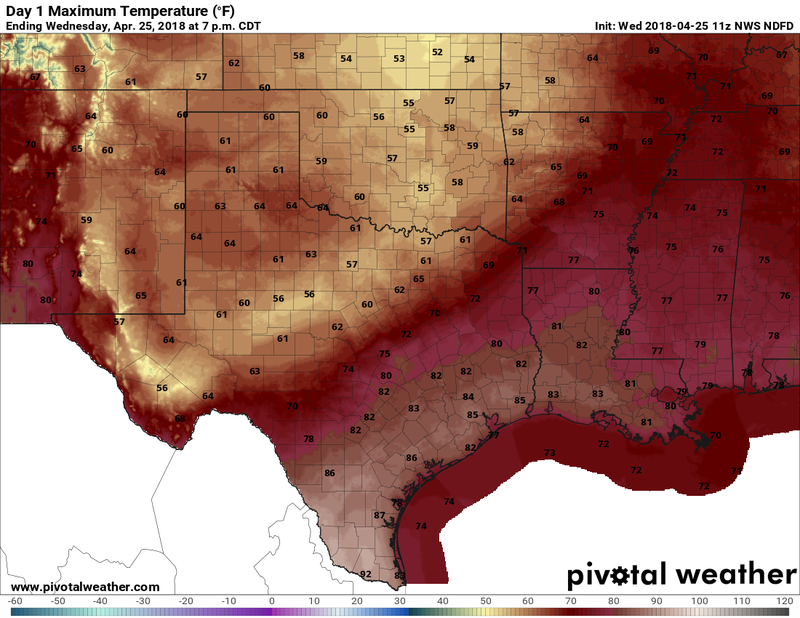 The Houston region will be a bit warmer today, but then will have about five superb days of spring-like weather before May begins. At that point, I expect we’ll begin to see the end of this glorious run of spring. We’re going to see some warmer weather today, with mostly sunny skies and light southerly winds allowing for highs to nudge up into the mid-80s across the region. I wouldn’t be surprised to see some areas south of Houston push into the upper 80s. In any case, it will be warm—a harbinger of how early May is likely to feel. This won’t last, however, as a cold front is on the way. It should push through Houston sometime tonight, probably a few hours before midnight. The most likely scenario is that we’ll see a broken line of showers and perhaps a few thunderstorms with the front’s passage tonight. However at this point I still don’t expect everyone to see rain, and areas that do probably won’t see more than a tenth or two of an inch.